Senior government sources say the “ambition” is still to get Theresa May’s deal through the Commons. But MPs will again vote on alternatives on Monday, a customs union with the EU thought to be MPs’ most likely preferred option. Mrs May said the UK would need an “alternative way forward” after her plan was defeated by a majority of 58 on Friday, following earlier defeats by 230 and 149 votes. The government has so far failed to win over 34 Conservative rebels. Remainers argue for another referendum and Brexiteers say Mrs May’s deal leaves the UK too closely aligned to Europe. Northern Ireland’s DUP – which the government relies on for support in votes in the House of Commons – also continues to oppose the deal. But a No 10 source indicated the prime minister would continue to seek support for her Brexit deal in the Commons and insisted efforts were “going in the right direction”. BBC political correspondent Alex Forsyth described the cabinet as “deeply divided” over what to do next. It “looks like the time may come” for another attempted no confidence vote in the government, she added. The deputy chairman of the Conservative Party James Cleverly told Sky News that his party is doing “sensible pragmatic planning” in case there is a snap general election, but not seeking preparing to call one. He added that if MPs are voting in favour of a softer Brexit it would not be “sustainable” for the government to ignore Parliament. He said the Conservative Party could split if the prime minister pursued a customs union with the EU as “it would amount to a reversal of the referendum result”. A customs union is one of the options which could be considered by MPs from all parties during a second round of “indicative votes” on Monday. 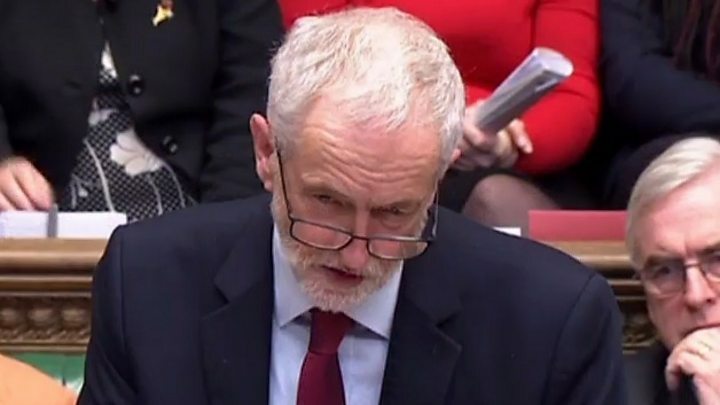 None of MPs’ eight proposed options secured a majority in the first set of indicative votes on 27 March, but those which received the most votes were a customs union with the EU and a referendum on any deal. Leading Tory Brexiteer Jacob Rees-Mogg told the Sunday Telegraph that the party needs to be led by “someone who has always supported Brexit”. Dominic Raab, who quit the cabinet in protest at Mrs May’s handling of Brexit, explained how he would tackle knife crime in the Sunday Telegraph. Chief Secretary to the Treasury, Liz Truss, called for the Tories to “modernise” in a wide-ranging interview in the Sunday Times. Former cabinet minister Justine Greening said she “might” run for the Tory leadership. In an interview with The Sunday Times, the Remain campaigner said the party needed a leader for the “2020s, not the 1920s”. If Mrs May wants to hold another vote on her Brexit deal in Parliament, it must comply with Commons Speaker John Bercow’s ruling that it can only be brought back with “substantial” changes. That is why the government separated the withdrawal agreement from the political declaration – on the future relationship with the EU – for Friday’s vote. 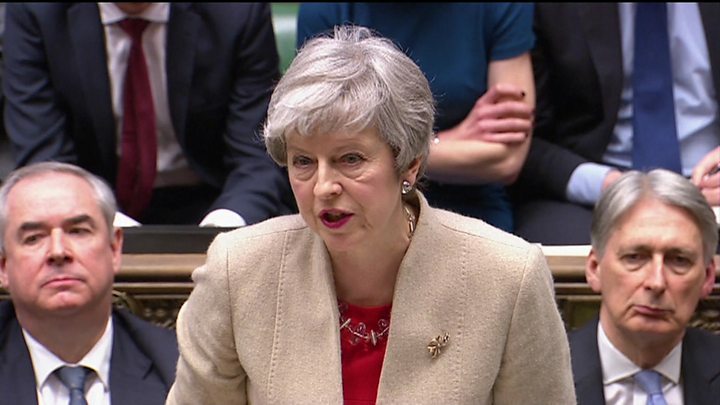 Following Friday’s vote, Mrs May said there would be “grave” implications of rejecting the deal and warned they were “reaching the limits of this process in this House”.